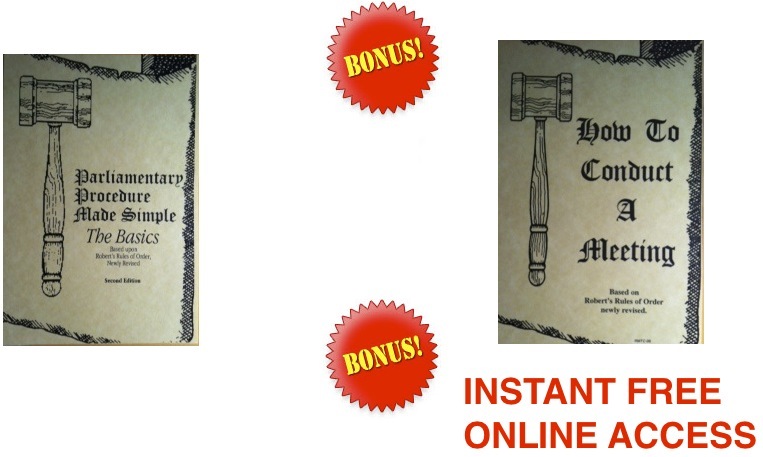 plus claim your FREE "How To Conduct a Meeting" training and FREE instant online access bonuses for just $ITEM_COST + $6.00 shipping. Copyright © 2019 RobertsRulesEasy.com. Website powered by Live Imagination.